"Treat their customers really well! This was the first time I have used Network Automotive Service Center. I had a really, really good first experience and they will be my alignment shop of choice from now on!I first went in, on a recommendation from another shop, I had scheduled appointment, which they were mostly on time for. There was a little bit of a wait, about thirty-five minutes for everything, I was in and out in no time! They checked my tires, which I knew were off a little, they adjusted them. I'll be back, because from the moment I walked in, I felt that they really cared about the customer. They genuinely had my best interests at heart. They were there to do what I wanted them to do, nothing more, so no up-selling. You don't find that kind of company very much. Plus, they are knowledgeable, reasonable prices, professional and do really good work. I can't recommend them enough!" Network Automotive Service Center, Inc. opened for business at our Mesa location in August of 1995. Our start up as a family owned and operated business had one stated objective, to serve our customers honestly, efficiently and economically. Our customer base grew rapidly and in order to continue our efficient service, a second shop was opened in May of 1998 in Gilbert, Arizona. In November 2000, a third shop was opened in Apache Junction, Arizona to provide a closer destination for our East Valley residents. In April 2003 we opened a shop in the cool pines of Prescott, Arizona. Our newest shop opened in Queen Creek Arizona in September 2010. 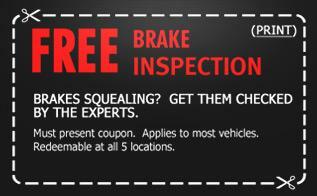 For all your Automotive Service Needs in Queen Creek, AZ, give Network Automotive a call at 480-444-0242.